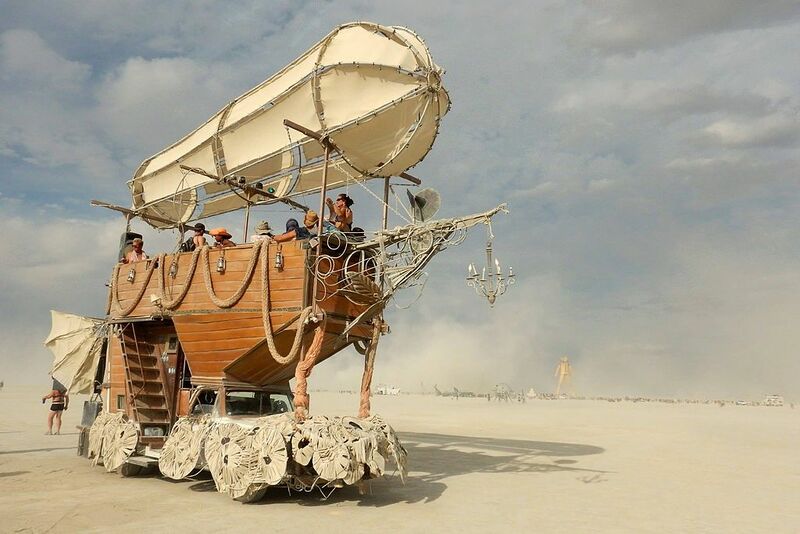 Set in the midst of the Black Rock Desert in Nevada, USA, Burning Man is a week-long gathering of alternatively minded individuals, who dress, build art pieces, and live in a manner that is accordance with their inner being, as opposed to the constraints that society normally places on them. Celebrating its 30th year in 2016, be prepared to have your belief systems challenged, your mind opened, but best of all, be prepared to encounter things like a gigantic fire-breathing bicycle, super artsy outfits, and ironic representations of the life we normally live outside Black Rock City. A Hindu festival intended to welcome spring after a long, austere winter in India, the intense colours associated with this joyous celebration has been the source of some awesome travel inspiration over the years. In fact, it has led to the spread of this party from India to many other places around the world in recent decades, as the copious amounts of colored powder that is tossed in the air as part of Holi has appealed greatly to travelers that have brought this tradition to their home countries. So long as you take care to stand well back with your camera rig during the deployment of the multi-colored dust, you’ll have plenty of outstanding photos for your family and friends of one of the most photogenic festivals in the world. A festival meant to help Thai citizens release the bad energy that they have accumulated during the year, the sky and water lanterns deployed during Loy Krathong has long been a photographer’s dream. The place that you will want to go to capture the most dramatic images is the city of Chiang Mai. On the last night of this festival of light, a mass release of lanterns located just outside the city fills the sky with so many aerial projectiles that air traffic control at the nearby airport has to reroute incoming and outgoing planes to avoid encounters with the dense mass of flaming paper lanterns. Taking place during the run up to what we Westerners know as Halloween, Mexicans celebrate a much more culturally significant holiday. Dia de los Muertos, which reminds people of the shortness of life and the inevitability of death, is marked by people dressing up as skeletons, and honored dead relatives and friends with the creation of shrines and with graveyard visits. Some of these costumes are very elaborate, so be sure to have plenty of memory cards on hand.